COMPETITION: Win JDM Allstars Wembley Tickets! Drifted have teamed up with UK drift series JDM Allstars to give you the chance to win a pair of weekend passes to the upcoming JDM Allstars showcase event at Wembley, London on Saturday 28th and Sunday 29th August, 2010. Make the jump to find out how! 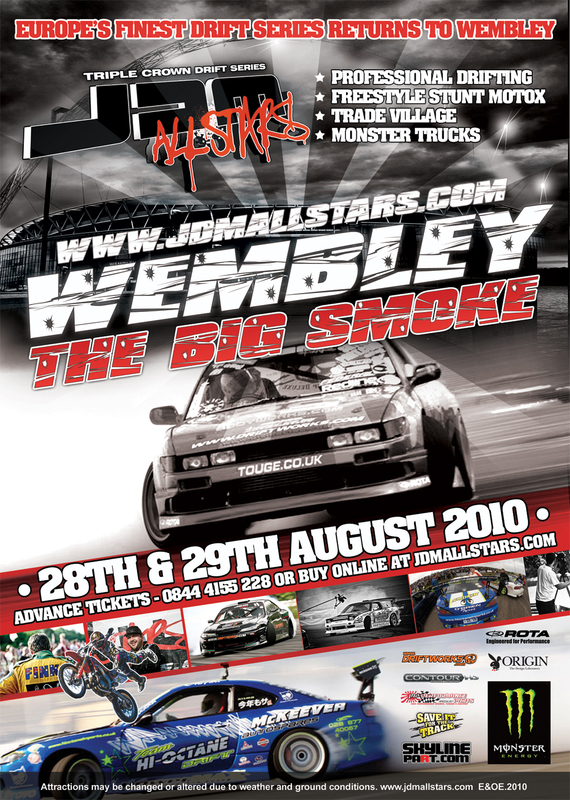 The winner will be picked by Drifted and JDM Allstars and announced on Monday 23rd August, 2010. Closing date for entries is 10:00pm GMT on Sunday 22nd August, 2010. One entry per person. Please send your answer by email to hello@drifted.com using the Subject ‘JDM Wembley Tickets’. Once you have entered drop a comment below letting us know (but keep your answer secret!). Good Luck and to whet your appetite, here’s the film for last year’s JDM Wembley round.